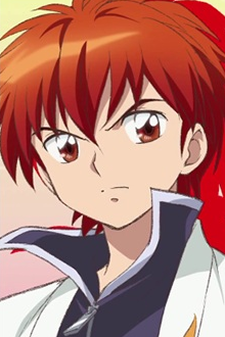 Rinne Rokudou is a boy of mixed human and shinigami heritage residing in the human world, despite his grandmother's invitation to live with her. He used to live with his grandfather until he died and now lives in an abandoned club building of the school he attends. He performs the duties of a shinigami on behalf of his grandmother, though requires tools that a true shinigami would not need and that are quite inexpensive, often equating to ¥500 or ¥1,000. He also has the expensive Haori of the Underworld (黄泉の羽織 Yomi no Haori), a robe that allows Rinne to not be seen by ordinary living beings and, when reversed, turns a ghost into a solid being. As he is short on money, he is eager to pick up money, food, or any kind of offering made by the students; he also refuses to spend money on rent, uniforms or many other common necessities. He is always very happy when he is given something. The debt he is paying off is not because of his grandmother, but because of his father using all his money. Rinne's name is taken from "Rinne", the cycle of resurrection present in Buddhism, and Rokudou, the six paths that comprise it.